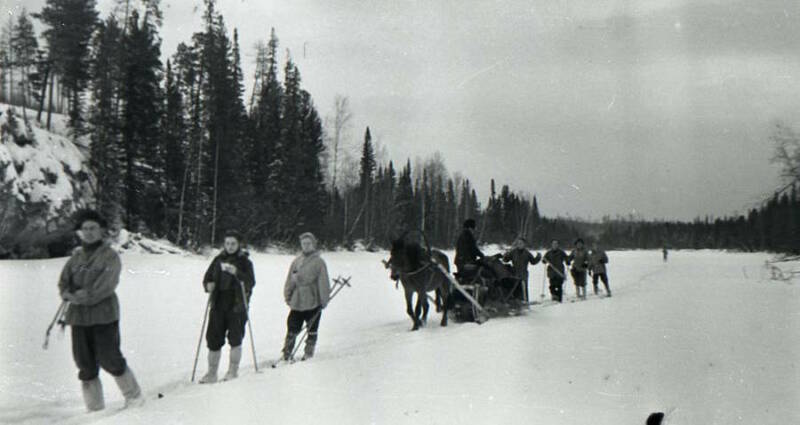 The Dyatlov Pass students as they hiked toward Otorten mountain. 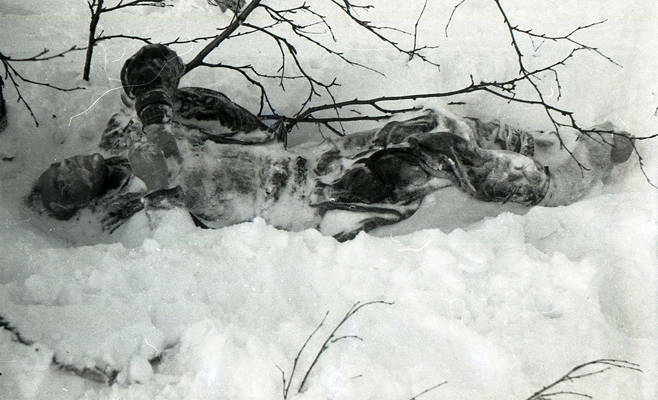 In January 1959, nine Soviet college students were killed under mysterious circumstances while hiking through the Ural Mountains in what's now known as the Dyatlov Pass incident. 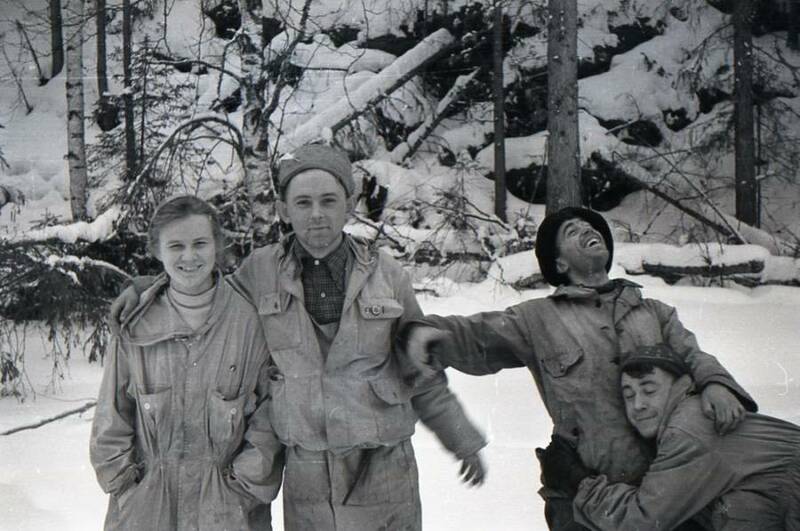 On Jan. 31, 1959, 23-year-old ski hiker Igor Alekseievich Dyatlov and his team of eight experienced ski hikers from the Ural Polytechnical Institute embarked on a journey to reach the peak of Otorten, a mountain in the Northern Urals. None of the hikers were ever seen alive again. From what was recovered from cameras and diaries recovered from the site of their deaths, investigators were able to piece together that on February 1st, the hiking team began to make their way through the then-unnamed pass leading to Otorten. As they pushed through the hostile, cold climate towards the base of the mountain, they were hit with snowstorms that ripped through the narrow pass. 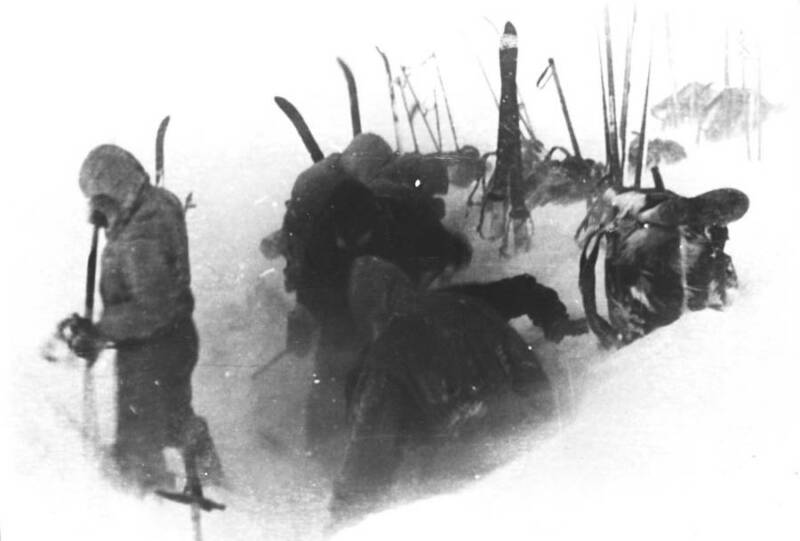 Decreasing visibility caused the team to lose their sense of direction, and rather than moving towards Otorten, they accidentally deviated their course west and found themselves on the slope near the top of a nearby mountain. This mountain is known as Kholat Syakhl, meaning “Dead Mountain” in the language of the indigenous Mansi people of the region. In order to not lose the altitude they had gained, or because the team wanted to practice camping on a mountain slope before their ascent of Otorten, Dyatlov called for camp to made there. It was on this solitary mountainside that all nine hikers would meet their end. Before he had embarked on this journey, Dyatlov had told his sports club that he and his team would send them a telegram as soon as they returned from the hike. However, when January 26th rolled around, and there was no communication from the ski hikers, a search party was mounted. Last known photo of the nine students alive taken at the camp on Kholat Syakhl. After the volunteer force found the campsite, army, and police investigators were sent in to determine what had happened to the students. When they arrived on the mountain, investigators intended to find a simple scene. Though these students were experienced hikers, the route they were taking was difficult, and accidents on tricky mountain trails are not unheard of. However, what the investigators found would only raise more questions as to the nature of the events that killed these nine students, and would open a mystery that continues to today. When they arrived at the scene of the camp, the first thing the investigators noticed was that the tent was cut open from the inside, and all the team’s belongings and most of their shoes were left there. 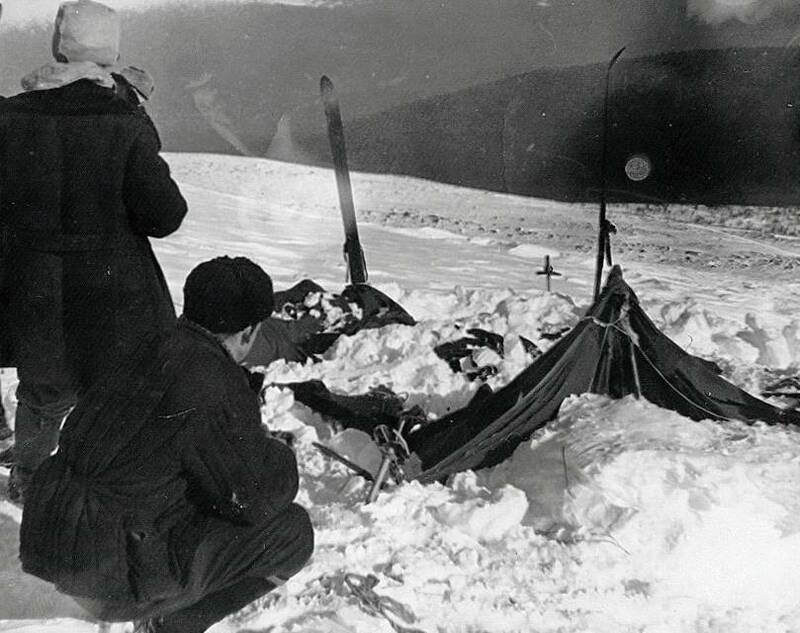 A view of the tent as the rescuers found it on Feb. 26, 1959. They then discovered eight or nine sets of footprints from the team, many of them clearly made by people with either nothing, socks, or a single shoe on their feet. These tracks led to the edge of the nearby woods, almost a mile away from the camp. At the forest’s edge, under a large cedar, the investigators discovered the remains of a small fire that the hikers appeared to have built. Around the fire were the first two bodies they found, that of Yuri Krivonischenko, 23, and Yuri Doroshenko, 21. Despite temperatures of −13 to −22°F on the night of their deaths, both men’s bodies were found shoeless and wearing only their underwear. The bodies of Krivonischenko and Doroshenko. They then found the next three bodies, those of Dyatlov, Zinaida Kolmogorova, 24, and Rustem Slobodin, 23, who died on their way back to the camp from the cedar tree. Top to bottom: The bodies of Dyatlov, Kolmogorova, and Slobodin. While these deaths were odd, they were far from inexplicable. All the students had clearly died of hypothermia, with no indication of severe external damage. It was not until the other four bodies were found two months later that the mystery deepened. They were found in a ravine 75 meters deeper into the woods than the cedar with significantly different causes of death. Three of the ski hikers had fatal injuries, including Nicolai Thibeaux-Brignolles, 23, who had significant skull damage and Lyudmila Dubinina, 20, and Semyon Zolotaryov, 38, had major chest fractures that could only have been caused by an immense force, comparable to that of a car crash. 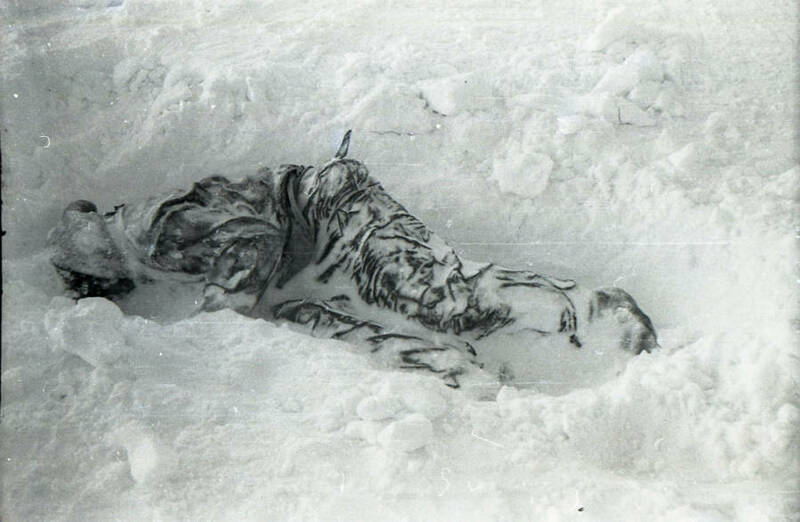 In the most gruesome part of the Dyatlov pass incident, Dubnina was missing her tongue, eyes, part of the lips, as well as facial tissue and a fragment of her skull bone. 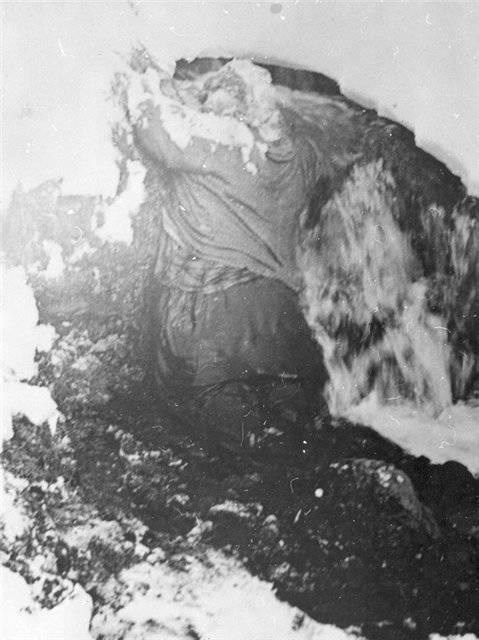 The body of Dubinina on her knees, with her face and chest pressed to the rock. They also found the body of Alexander Kolevatov, 24, in the same location but without the severe wounds. There was evidence that the hikers used the clothes of the people who died first. Dubinina’s foot was found wrapped in a piece of Krivonishenko’s wool pants, and then, in turn, Zolotaryov was found in Dubinina’s faux fur coat and hat. 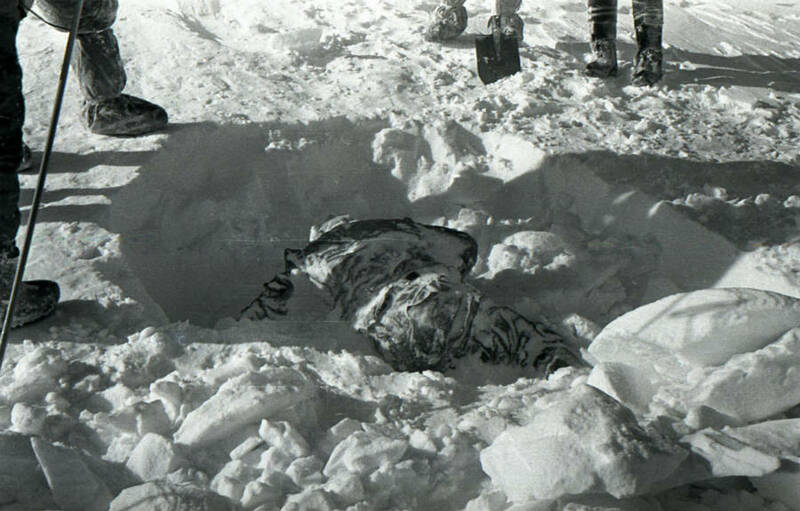 These mysterious circumstances of the Dyatlov pass incident begged for an explanation, and many have been put forward. Early on, many Soviets suspected that their death was the result of an attack by the local Mansi tribesmen, but the Masi people were largely peaceful, and there was no evidence of the type of attacks they would use on the bodies. 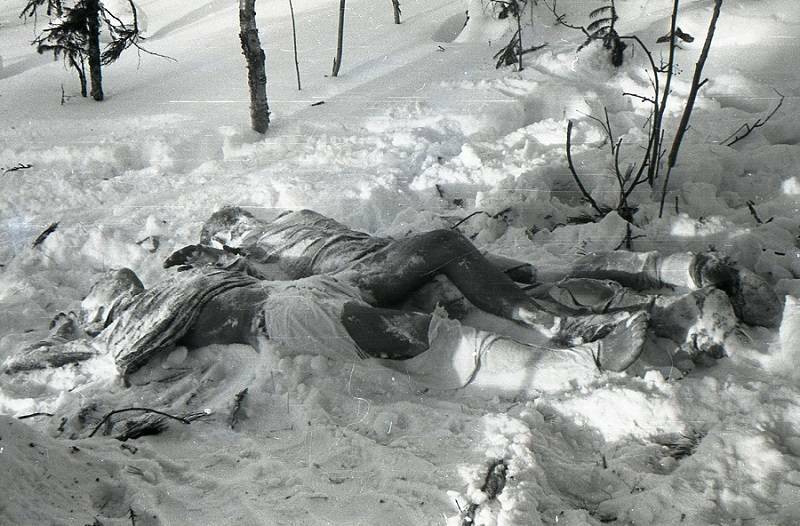 Early on, the investigators of the Dyatlov pass incident also suspected that the hikers may have been killed by an avalanche, to account for the intense blunt force trauma to some of the dead. However, it was highly unlikely that the experienced ski team would have made camp in an area where an avalanche could occur. Also, when investigators found the bodies there was no evidence that an avalanche had occurred anytime recently in the region, and no avalanches have been recorded at that site before or since. Other investigators began to test the theory that the deaths were the result of some argument among the group that got out of hand, possibly related to a romantic encounter that may explain some of the lack of clothes. However, people who knew the ski group said they were largely harmonious. The skiers also wouldn’t have been able to cause the massive injuries on some of the dead. Memorial erected for the students. As the cause of death remained a mystery, other, more out there, theories began to crop up. People began to say that the hikers were killed by a Menk, a sort of Russian yeti, to account for the immense force and power necessary to cause the injuries to three of the students. This explanation would match with testimony from another hiking group, who were camped out 50 km from the Dyatlov encampment. This group spoke of strange orange orbs floating in the sky moving towards Kholat Syakhl. This testimony was also corroborated by reports from the weather service and army. Photo from Krivonischenko’s camera that some say shows the glowing spheres. 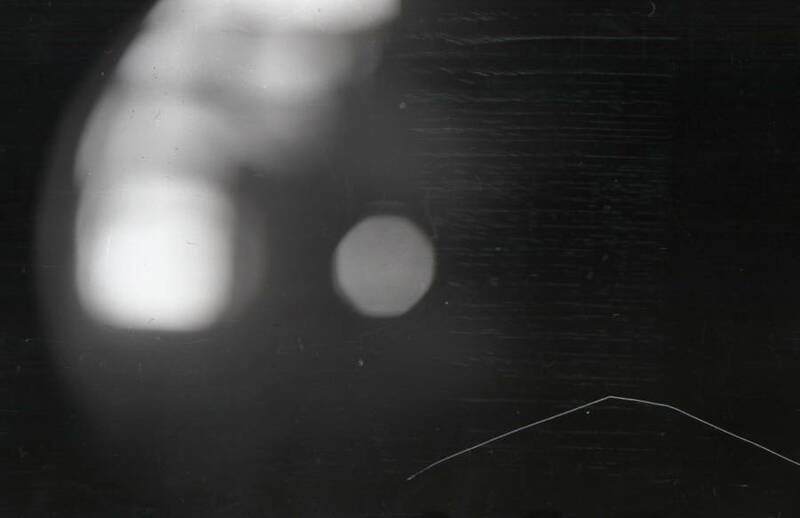 Lev Ivanov, the chief investigator of the Dyatlov Pass incident, said, “I suspected at the time and am almost sure now that these bright flying spheres had a direct connection to the group’s death” when he was interviewed by a small Kazakh newspaper in 1990. Censorship and secrecy in the USSR forced him to abandon this path of inquiry. 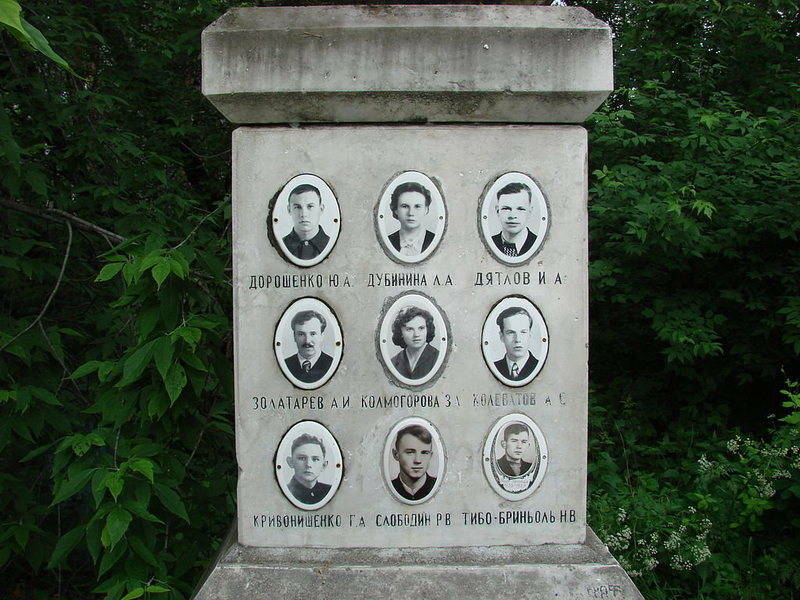 In the end, the deaths of these students was officially attributed to “a compelling natural force,” and the Dyatlov pass case was closed. As of now, what happened on that fateful night on Kholat Syakhl is still unknown, and these strange deaths continue to baffle and confuse investigators to this day. 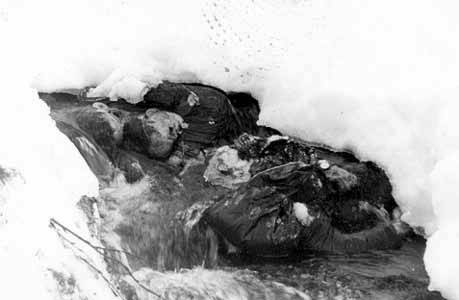 The pass that this incident took place in was named Dyatlov Pass in commemoration of this mysterious event.